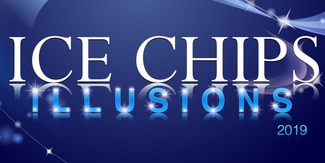 It is that time in the Ice Chips 2019 production that we are looking to fill our needs for volunteers! As you all know, a show of this magnitude could not be possible without the hard work contributed by our membership base. Please consider doing your part to help us produce another smooth-running and successful show! This year we are in need of folks to help with the following committees: Locker Room Chaperones, Ticket Box Office, Spotlight Operators, Program Sales & Ushers, Cast Check-in Desks, and Cast Party. Any help you can give us is greatly appreciated by members of the cast, production folks and security personnel. A well-run show is a safe and successful one! THANK YOU!